DAY THREE OF THE 12 DAYS OF GINGERBREAD! If y’all don’t already know, I’ve got a bit of a thing for marshmallows. All kinds of marshmallows. 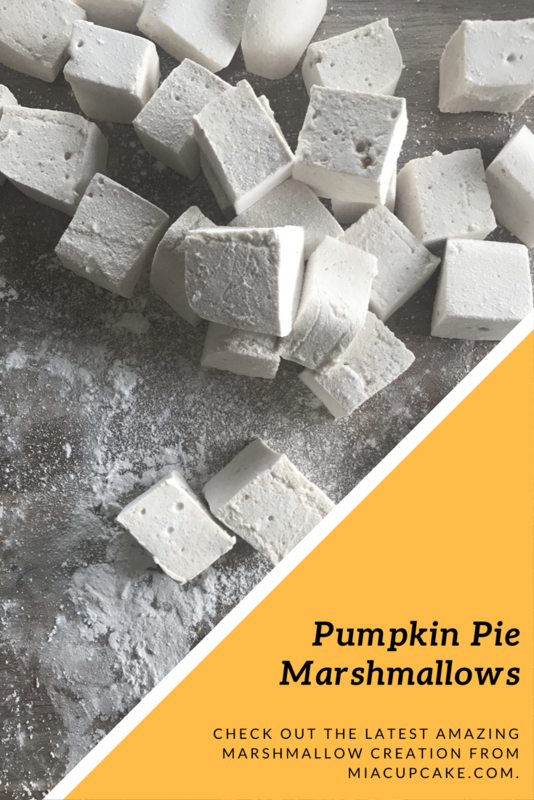 If you ask my friends, I don’t make nearly enough marshmallows (because they don’t get enough). If you ask the friends who got to taste test this particular flavor, they’ll show up at my house at 7am to get their hands on them. I made two batches for my taste tester group. Half of them disappeared before I could package them up (I suspect my children and my father). Half of them were snatched up before I got to taste them. So I think it’s safe to say these are pretty delicious. Get your 9×11 baking dish (I used an 8×10 for taller marshmallows). Spray lightly with baking spray. Set aside. Combine the remainder of the water plus the sugar, salt, corn syrup, molasses and Gingerbread Spice Mix in a medium saucepan over low heat. Stir until sugar dissolves. Increase heat to medium, clip a candy thermometer to the side of the pot and WATCH THE POT. Seriously, don’t walk away right now. It boils up pretty fast. If it boils up, lift the pot off the heat and decrease your burner a notch. Store in an airtight container for up to 10 days, though they'll probably disappear long before then. Check out Day One here, and Day Two here! DAY TWO OF THE 12 DAYS OF GINGERBREAD! 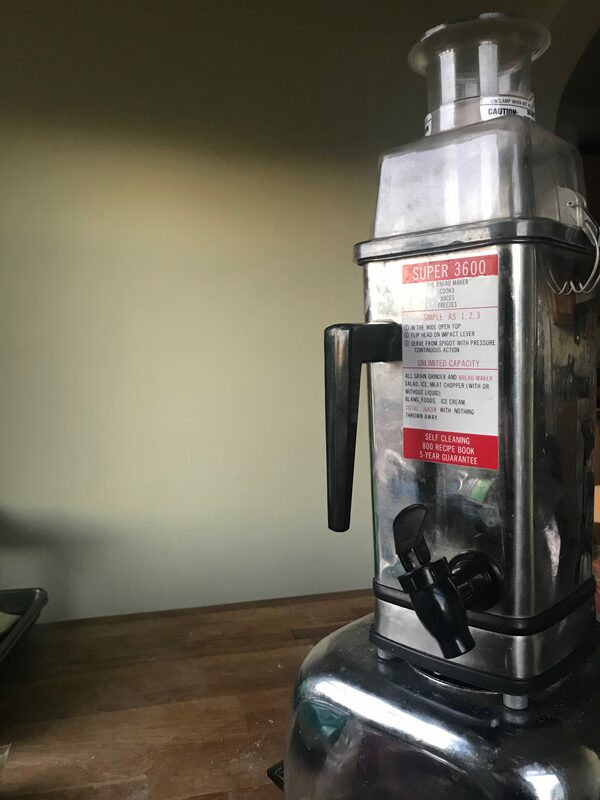 Last Christmas, I was the proud recipient of a Vitamix blender that I believe is almost as old as I am. She’s a beauty. She doesn’t have a name yet (unlike my mixer), but she’s a workhorse. She even has some sort of heating feature to make soup (that I haven’t managed to figure out yet)! Smoothies are a huge part of the weekly parade through the crazy of my life. They’re fast, they pack a hell of a nutritional punch (if I do it right) and if I keep my freezer stocked I can make one in 10 minutes or less. Just a note – you can use berries or whatever you like, but be careful because adding pineapple makes it taste REAL WEIRD. Trust me. Not good. 1/2 cup water can use almond milk or other milk alternatives. Add more if too thick. Add all ingredients to blender; blend until well mixed. Serve topped with fresh banana slices and a dusting of Gingerbread Spice mix or granola. 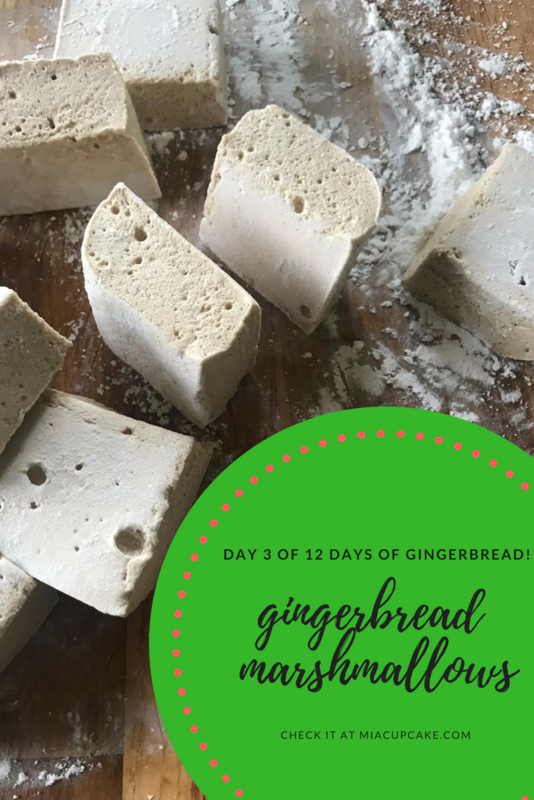 Check out Day One of the 12 Days of Gingerbread here! DAY ONE of the 12 Days of Gingerbread! This post contains affiliate links, meaning I get a bit of extra coin for pointing you in that direction and you don’t pay anything extra. 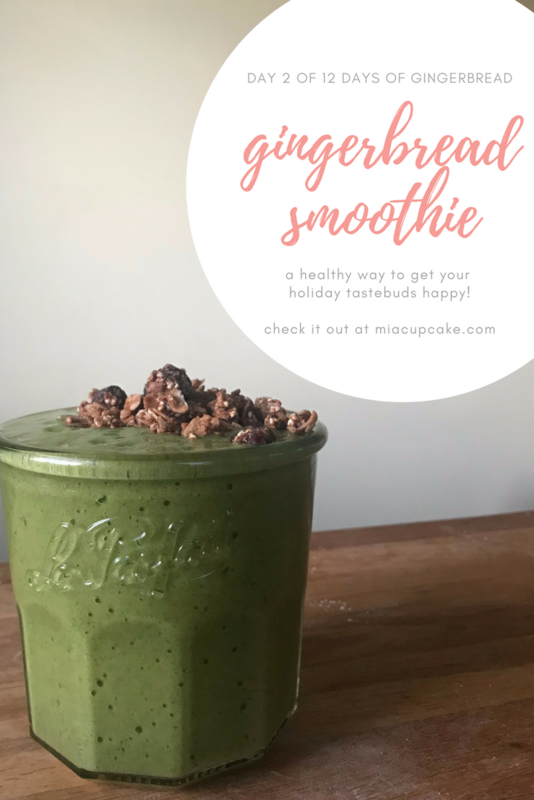 Today, I bring you one of the easiest gingerbread recipes you’ll ever see: Gingerbread “Bulletproof” Coffee. 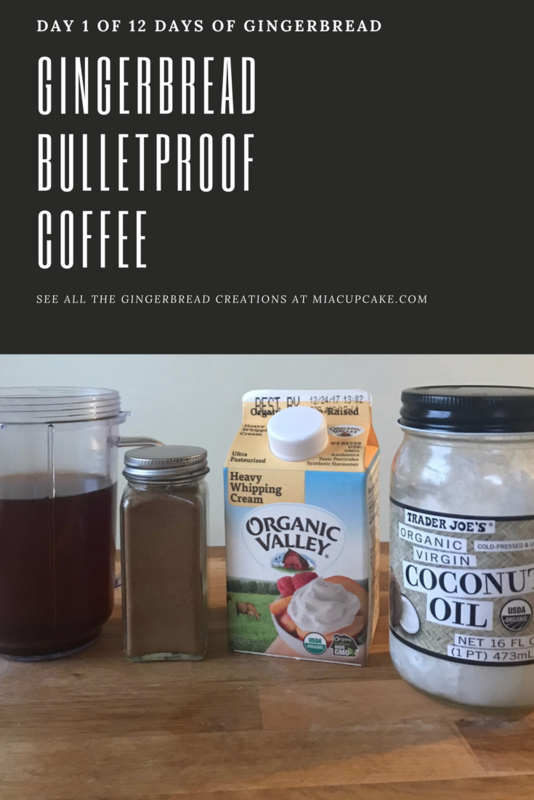 “Bulletproof” coffee is a mix of healthy fats and coffee, sometimes using butter for one of those healthy fats. Just in case butter in your coffee isn’t something you’re quite down with, whipping cream or milk would be fine as well. Dairy free? Just add almond/soy/coconut/whatever-floats-your-boat-dairy-free-alternative milk! Want a little extra nutritional oomph in your morning java? 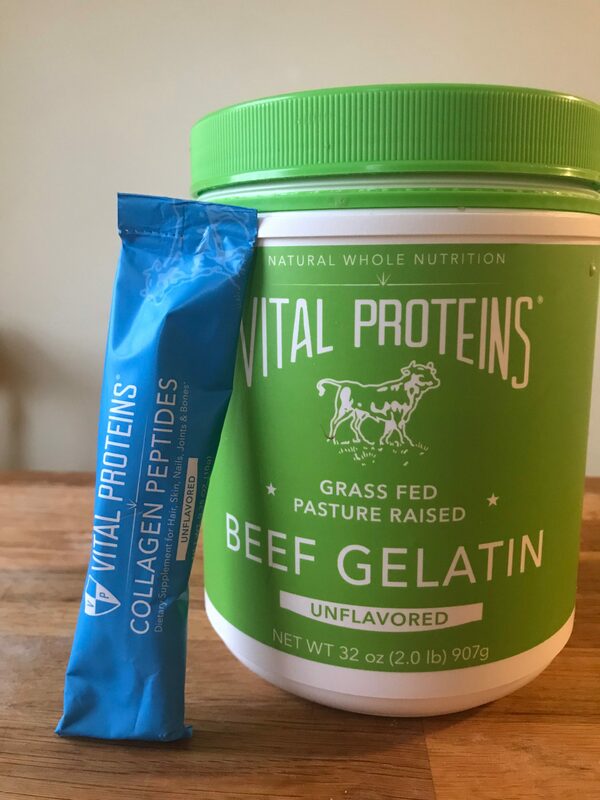 Check out the Beef Gelatin or the Collagen Peptides (or both!) from Vital Proteins! It’s a simple combine-and-blend recipe and you end up with a creamy holiday latte-style drink in the comfort of your own home. 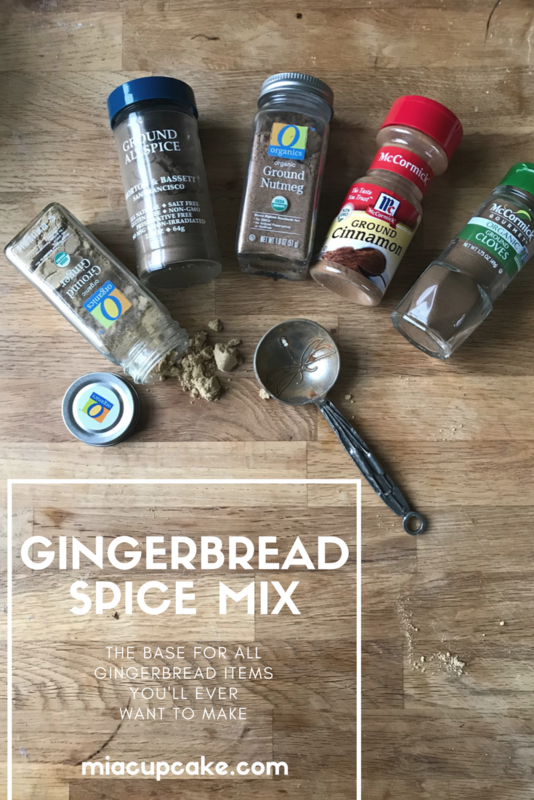 a simple,Whole30 and paleo way to add good fats and a holiday taste to your coffee! 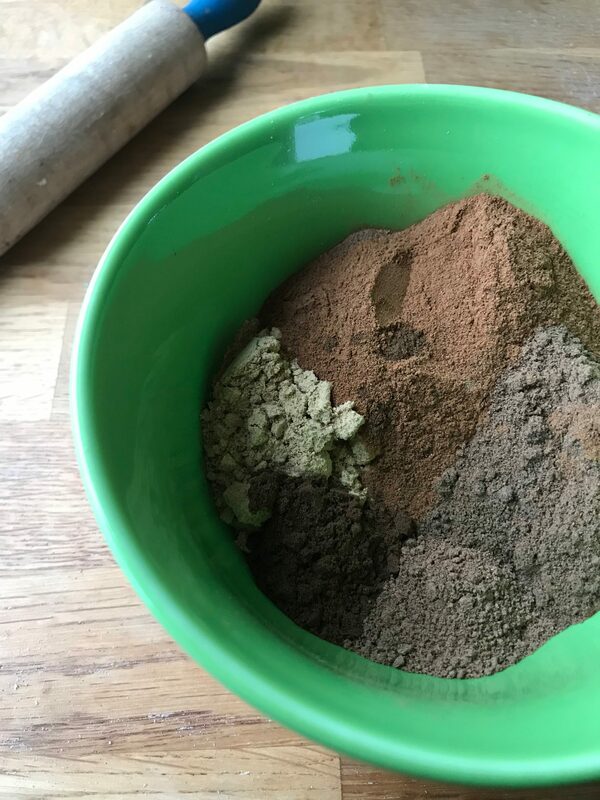 combine all ingredients in a blender and blend until frothy. Stay tuned for the next 11 days – we get a little more complicated tomorrow! this post contains some Amazon affiliate links, meaning I get a few pennies to spend on new culinary gadgets or more cookbooks at Amazon if you use them, but you don’t pay any extra dough. Some of you might think Ulla is my youngest child, but no. Ulla is my tilt-head KitchenAid mixer (looks much like this beauty). Yes, she has a name. She also has an attitude and we have a very serious relationship and spend a lot of time together. And today is her 7th birthday. I won Ulla in a drawing from a well-known blogger that I don’t want to link to, because my taste for her has changed quite a bit. I screamed a lot and called a bunch of people and yelled a lot into my cell phone and basically lost my everloving mind. How often does one win a KitchenAid mixer, really? When you can put water and gelatin and sugar together and make marshmallows, somehow the world seems ok for just a minute. Ulla arrived on our doorstep 7 years ago today. And a lot has changed since that first day. I named her Ulla because I thought it meant “red” in Norwegian…but it means something entirely apropos for me of late. It means “will or determination“. 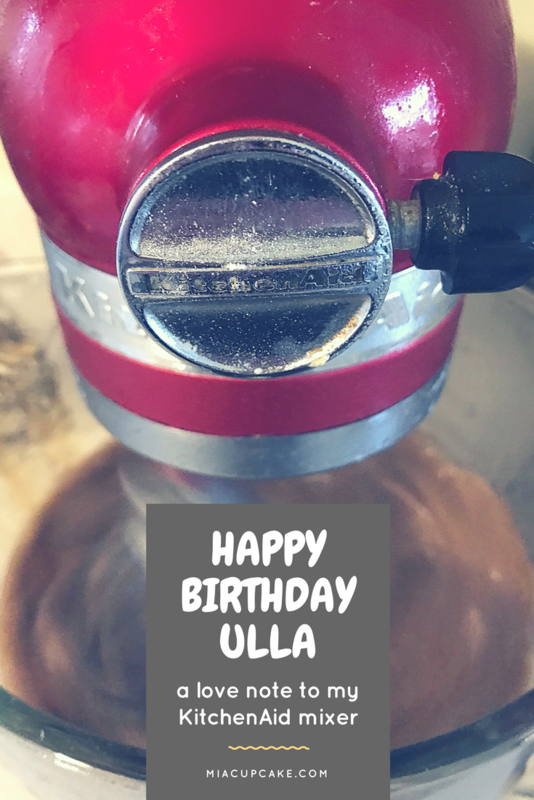 Ulla got me through a horrible breakup, where I would bake for hours and hours for my coworkers and friends without resting to try and soothe my battered soul. I know that feeding Ulla certain measurements of certain things will get me certain results, and only once has she failed me when her whisk beater broke. Ulla is the first to get unpacked in a new house, and one of the last to get packed up. 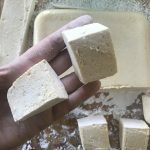 Ulla has made 75 batches of marshmallows in the last 12 months. Ulla has had several pieces replaced, and got a new fancy scraping beater like this one for Christmas last year. Ulla is by far the hardest worker in this house. Ulla and I are taking on a new venture in the new year that we (meaning me, since she’s an inanimate object) are really excited about, and will tell you about when the time comes. I hope Ulla lasts forever, but I know there will come a day when Ulla will no longer function correctly. My grandmother had a 30 year old mixer that still worked when she passed away, so maybe Ulla will outlive me. I hope we have many may adventures and delicious things to come, and I hope she’ll forgive me for that one time I dropped her on the floor when she was new. It’s no secret that I really love food. I’ve waxed poetically about how much I love food before, so I won’t waste your time with more flowery words about it. Let’s get to it. 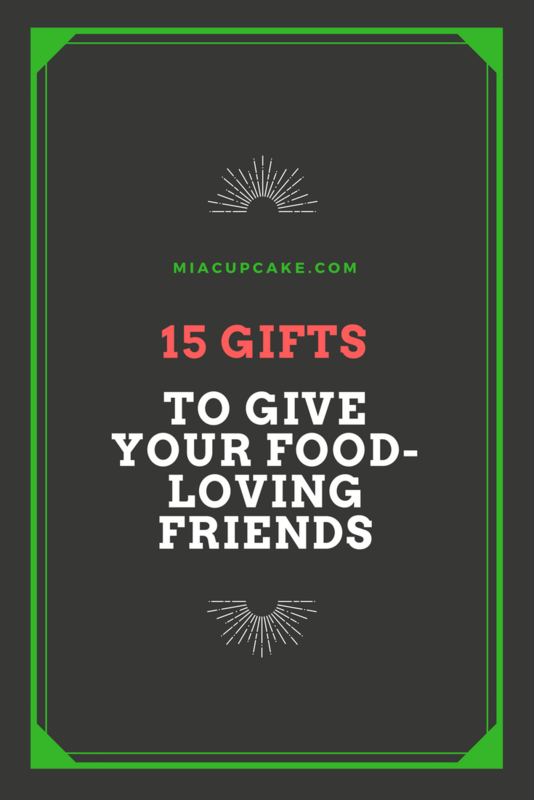 Here’s an awesome (and extensive) list for items your foodie friends and family would love to get this holiday season! Orangesky Electric Milk & Egg Beater – this one is a great option for a stocking stuffer! On the less-expensive side, this is a great little tool to froth milk for lattes or beat eggs for those fluffy scrambled eggs. 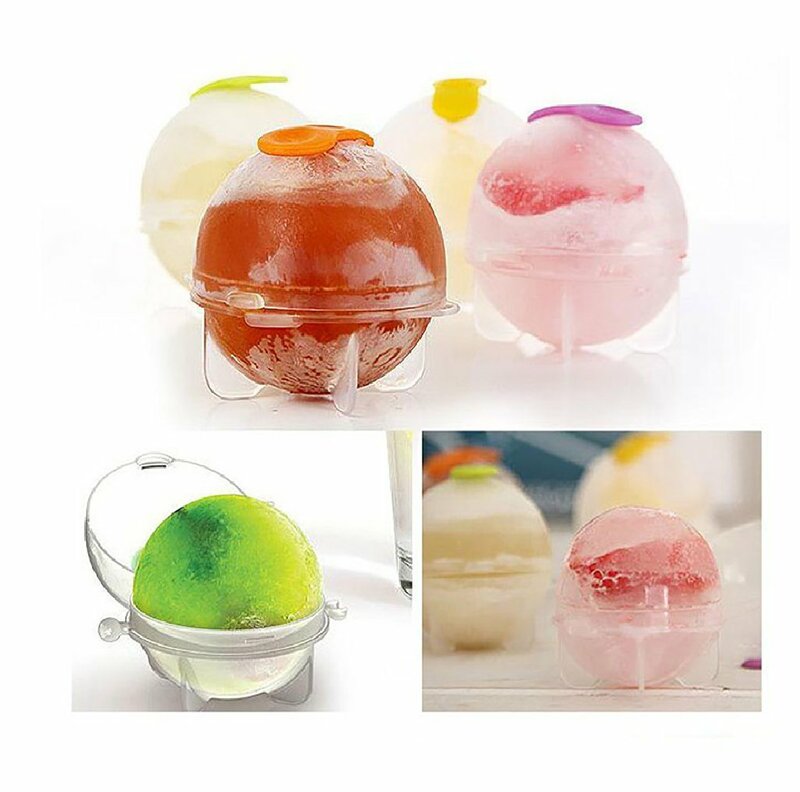 Kemilove Ice Sphere Molds – I don’t PERSONALLY like water in my whisky (give it to me neat, or just give me water), but I hear that these cute little rotund ice cubes are cute in whisky glasses. You can also use them for regular drinks, I don’t think the whisky part is required. Unichart Stainless Steel Square Lunch Box – it’s a foodie’s dream lunchbox, and it comes with a cute little carrying case. 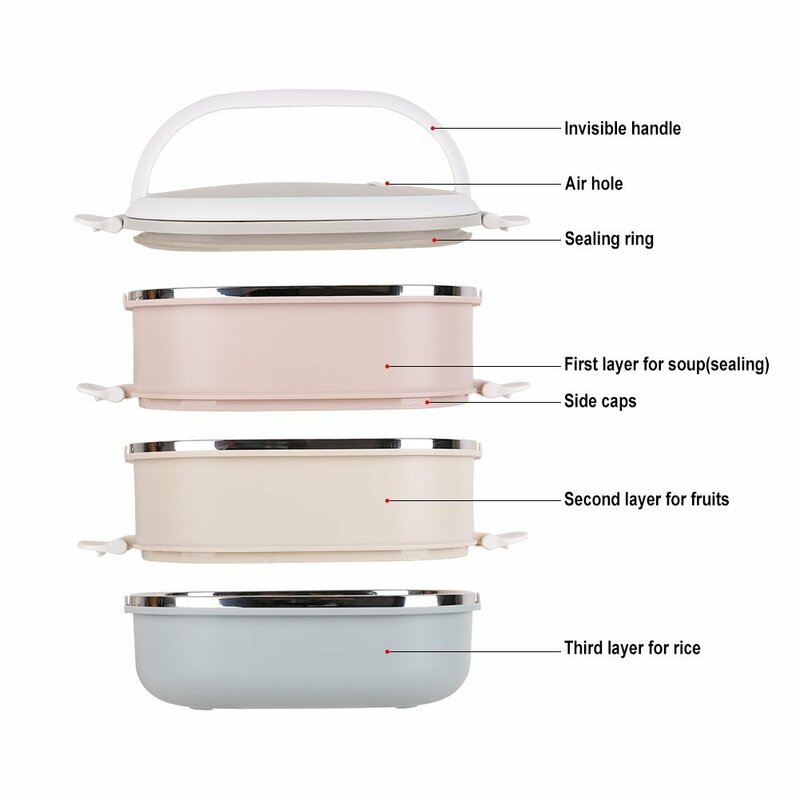 I just love that the first layer will seal, so you can put soup in there. YESSSSS. AUCH Hanging Folding Mesh Garbage Bag Organizer – I need plastic bags for various reasons in my house, and they are everywhere. Hanging from doorknobs. Floating around like tiny environment-clogging ghosts in my kitchen. This inexpensive doohickey would corral all of them into one easy-to-manage place… BRB, adding this one to my own cart. Aerobie AeroPress Coffee and Espresso Maker with Bonus 350 Micro Filters – I own two of these. I keep one in my suitcase, and the other for camping. All I need is boiling water and grounds and I’ve got gourmet coffee no matter where I am. Wilton 6 Cavity Nonstick Donut Pans – get the 2 pack, because you need a dozen donuts. 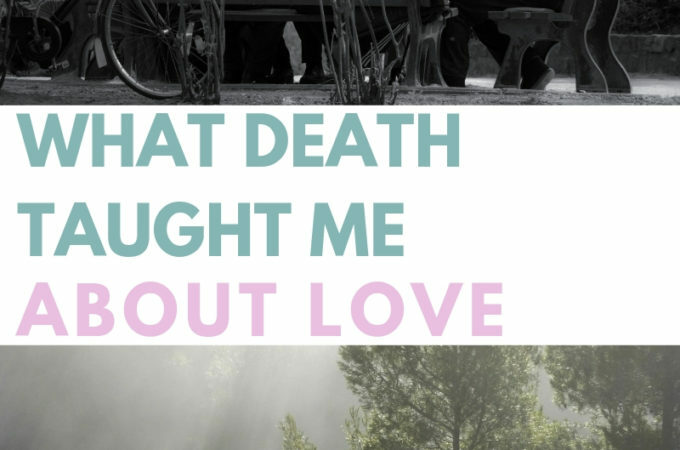 Are you living with the person you are giving this gift to? This will guarantee you get to eat homemade donuts. And everybody needs homemade donuts. Wilton “Sweet Shooters” Cookie Shot Glass Pan – yes, you read that correctly. It is a pan you use to make COOKIE SHOT GLASSES. You could put shots of Bailey’s in gingerbread cookies. You could do shots of milk in chocolate chip cookies. There are endless possibilities, and now I want a cookie shot. 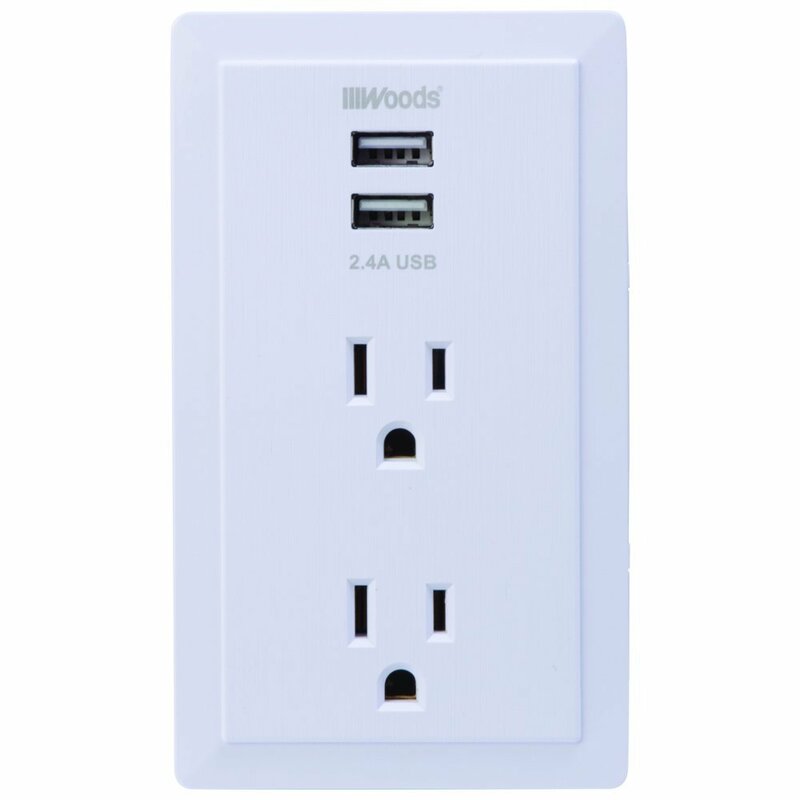 Woods 2-Outlet, 2 USB Plug In Outlet – I know, this seems like a really weird gift for a foodie, but I use my devices in my kitchen ALL THE TIME. And inevitably, they’re a USB cord with no plug…this would be so handy to be able to run my ancient Vitamix and my food processor and still charge my phone! Aduro Solid-Grip 360 Adjustable Universal Gooseneck Smartphone Stand for Desk – another weird one, but see previous item. This would keep my phone, where I watch videos or film them or read recipes or listen to podcasts, at eye level. It clamps to the edge of the kitchen counter, perfect. Joseph Joseph 9 Nesting Bowls Set with Mixing Bowls, Measuring Cups, Sieve & Colander – I always have issues in my cabinets, because there’s like 8 different kinds of mixing bowls, and nothing stacks inside each other. 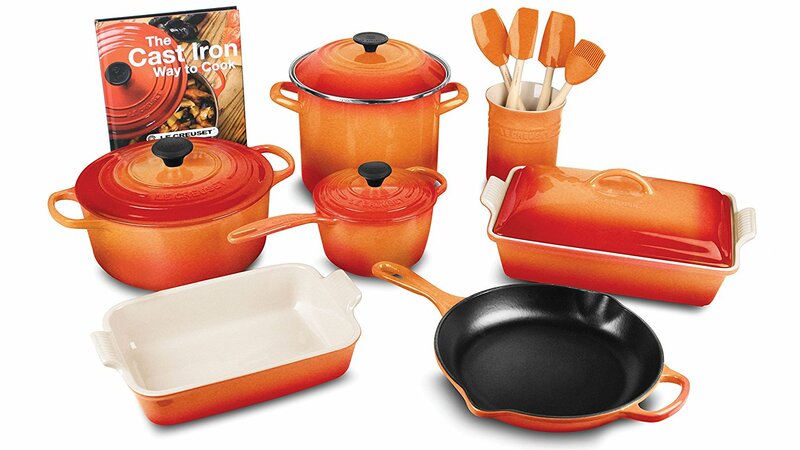 This would soothe the most organized kitchen queen with its nesting qualities! 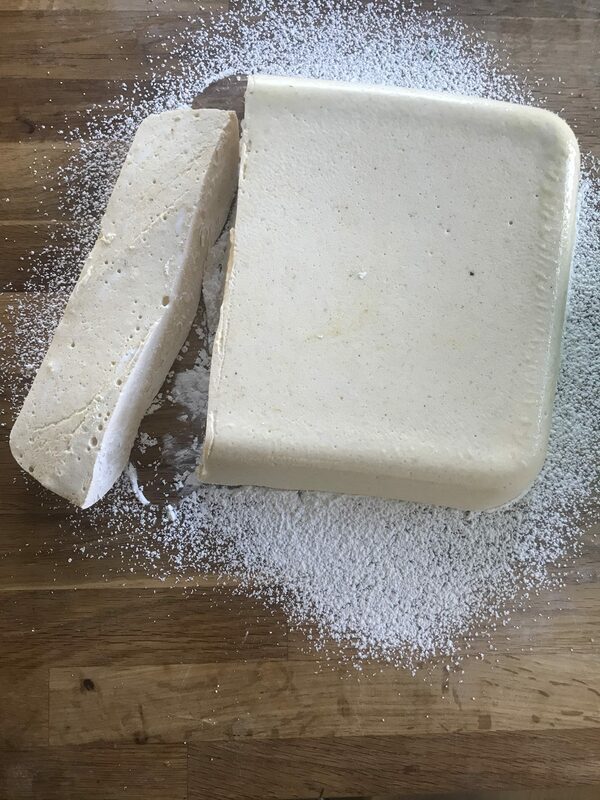 The Ultimate 16″ Round Pizza / Bread Stone – get those on your gift-giving list cooking some great pizza with this amazing bread stone. Crispy crust – even with a store-bought frozen pizza! Bekith Brushed Stainless Steel Mortar and Pestle – this baby looks good while you’re using it, or just sitting on your counter. And fresh-ground herbs and spices? Gives those dishes an edge that most foodies are looking for. 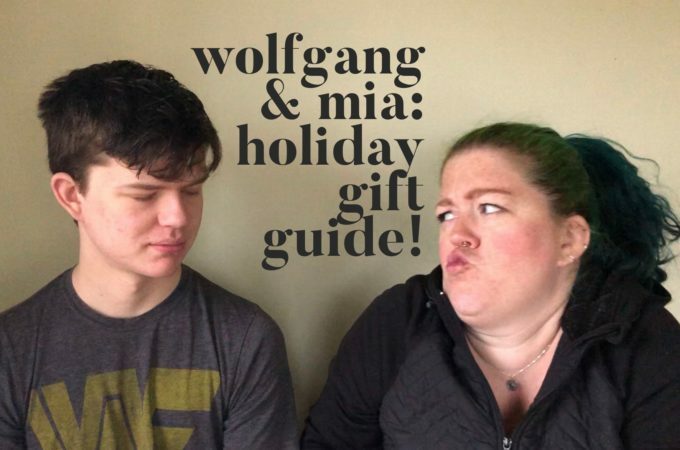 The best thing about this gift list or giving anything from it = the recipient will normally use it to make you something absolutely delicious. This weekend, some of the bloggers in my circle got a little heated about Reese Witherspoon’s latest speech when she accepted some award. Ok then, Reese Witherspoon. I don’t get where you’re coming from, but I might be taking that one out of context. You kind of make sound like a jerk, and I know that’s not your intention. I can definitely see why some “mommy bloggers” might take offense at you using that odious term in a possibly derogatory manner. I am sure you didn’t mean to insult an entire group of entrepreneurial women who have large audiences on the internet. First off, “mommy bloggers” are total badasses. They’ve built empires from nothing, commanding large payouts for their writing, video and social media savvy. They’re powerhouses. They’re businesswomen, just like you. Shove clementines up its bum like Jaime Oliver. Brine that sucker with honey, a la Alton Brown. It might be cold outside, but fire up that BBQ for your gobble gobble! Go whole hog, and wrap it in bacon. Spatchcock it. That’s not a bad word, I promise. Do like Bobby Flay does, roast AND braise it. Another entry for Alton Brown (my personal favorite), with the deep fried turkey. Make yourself some turkey jerky. Michael Symon says: stick a beer can up there and roast it. I don’t know how great this one is for your arteries, but mayonnaise-basted sounds interesting. Go plain Jane and just roast it. I hope Reese Witherspoon keeps making amazing television and movies for a long time. 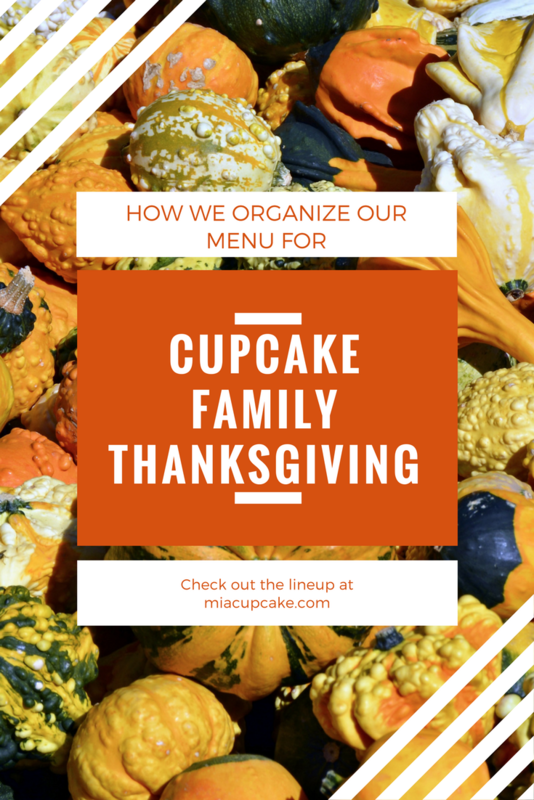 And if she ever needs to cook a turkey, she knows where to find us “mommy bloggers”. I have an enormous collection of cookbooks. It used to take up three bookcases in my house until one of them broke and I had to pare it down. Now I’ve got it contained in one short bookcase. Here’s the kicker though: I don’t normally cook recipes from them. I read them. I read them like novels. I love snuggling up on my couch in the wintertime with a big hot cup of tea and a blanket and a stack of cookbooks and post-it flags. The cookbooks are important in my life. My grandmother’s copy of Joy of Cooking sits on the shelf with my first edition of Julia Child’s Mastering the Art of French Cooking, Volume 2 (and the brand new copy of Volume 1 I bought last year). I consult them when I’m fiddling around in the kitchen and want to know if tarragon goes with lemon ad chicken, and get some ideas on what I can do with them. I read them when I’m feeling blue. 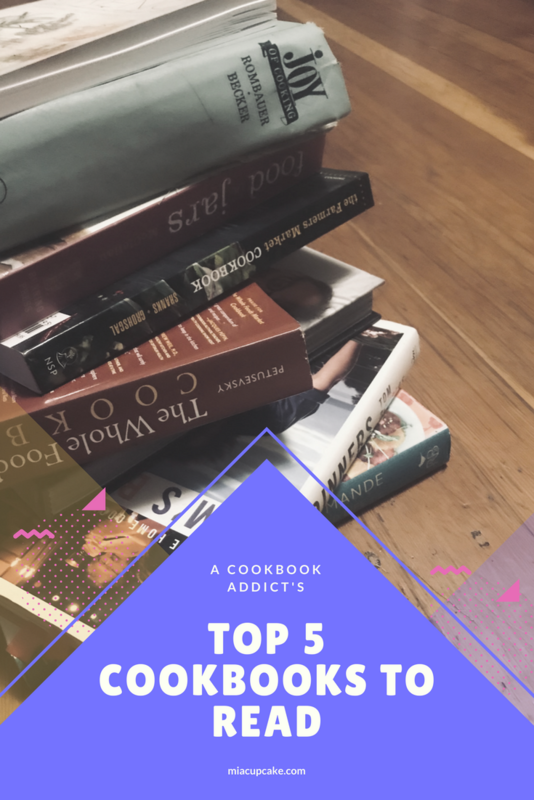 I do play favorites though – there are 5 that I pull out when times get tough and I need culinary help or something comforting to read. 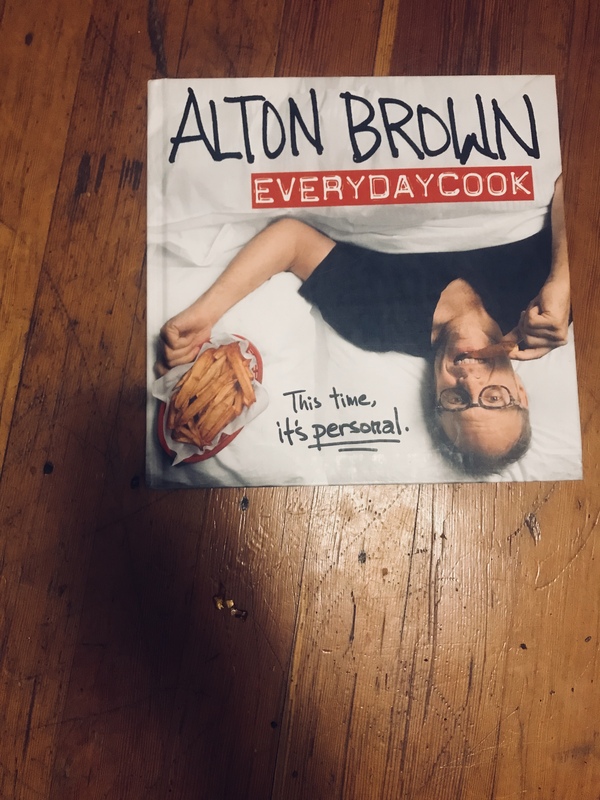 Everyday Cook by Alton Brown. Alton is just awesome. We are huge freak-out fans of Alton in our house. He has a way of making technical recipes just a little more accessible for those of us without sous-vide machines or blowtorches in our kitchens. 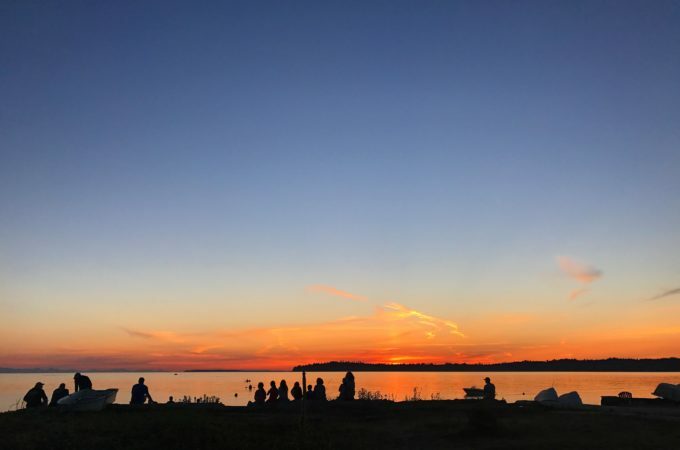 PLUS – he shot all the photos for this one on an iPhone! The Food Lab By Kenji Lopez-Alt. This is some serious reading. I’m still trying to work my way through it after receiving it last Christmas, but this has taught me everything I never knew about cooking eggs. It’s AMAZING and nerdy and the heaviest cookbook I own. Cooking for Mr Latte by Amanda Hesser. Written by one of the geniuses behind Food 52, this book outlines Amanda’s courtship with her now-husband, “Mr Latte” through a series of short stories and corresponding recipes. It’s an actual novel that’s also a cookbook! 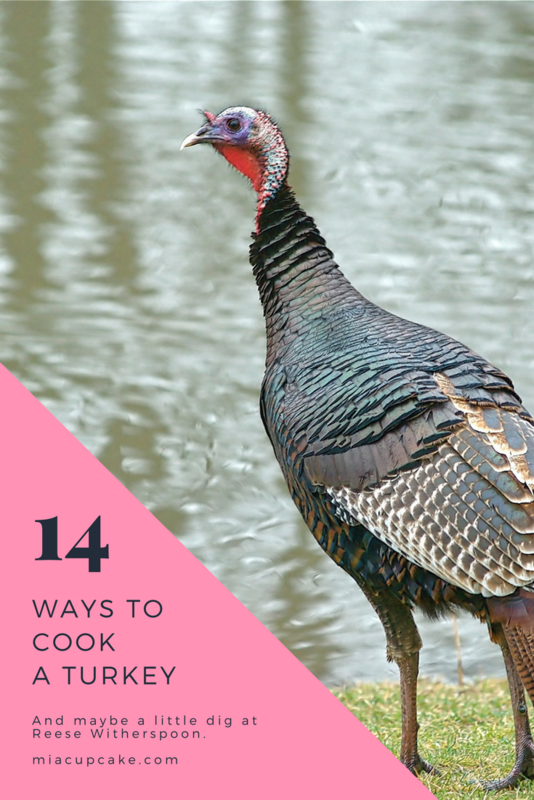 I always LOVE cookbook recommendations so if you read them like I do, let me know what you like to read! 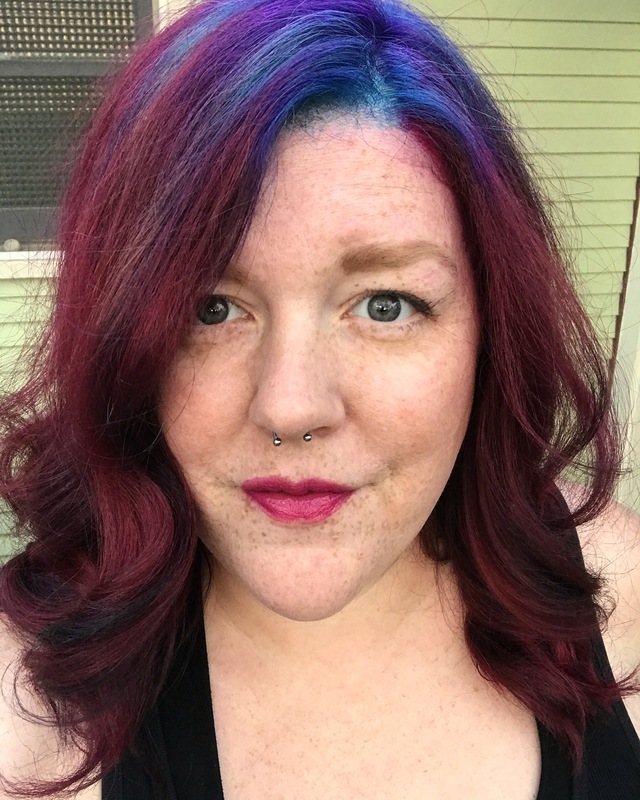 This post contains Amazon affiliate links, which means you don’t pay any extra, but we get a couple of coins in the food coloring, glitter and textbook fund!